Hello . . . it's been a while! Today we have 3 Peeps and a Bun! 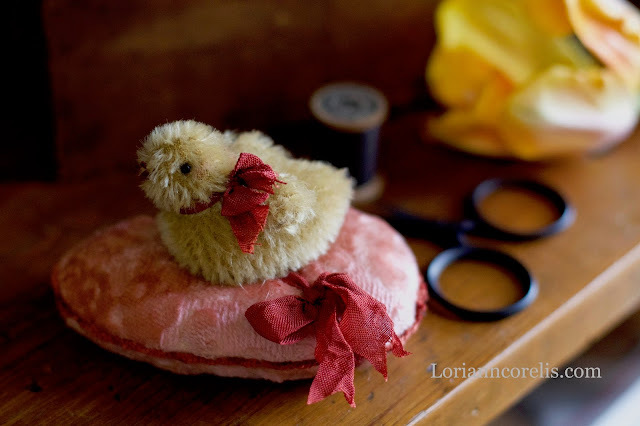 #1 ~ Quite the fuzzy little peeper. bead eyes & a wool felt beak. with antique chenille and a vintage ribbon bow. 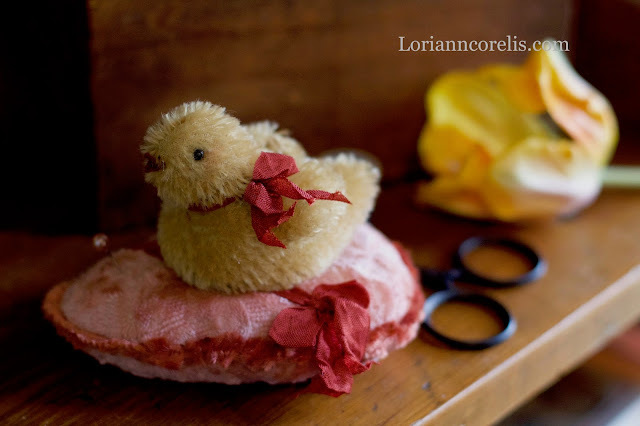 This little one is created from short soft yellow mohair with bead eyes and a wool felt beak. 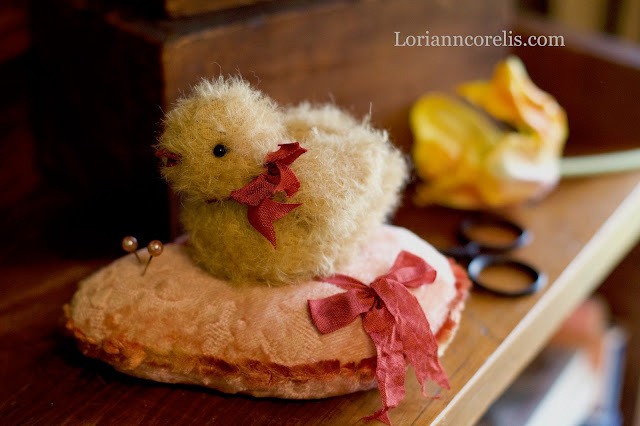 This Teeny one is created from short soft yellow mohair with bead eyes and a wool felt beak. #4 ~ Not a Peeper! 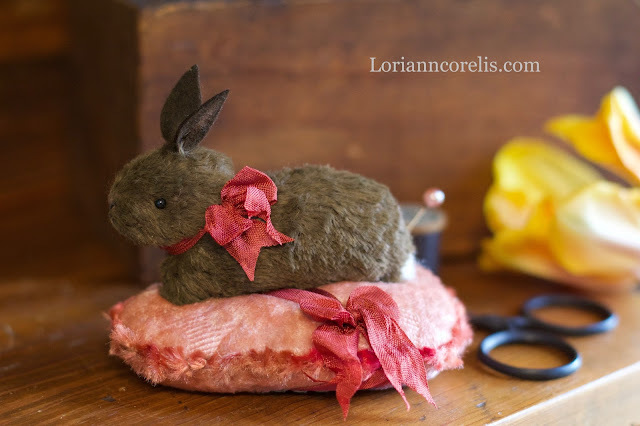 A sweet little bunny of chocolate viscose. He has bead eyes, wool felt ears and a felted fluffy tail! You make the sweetest little creatures. I always love seeing what's next.